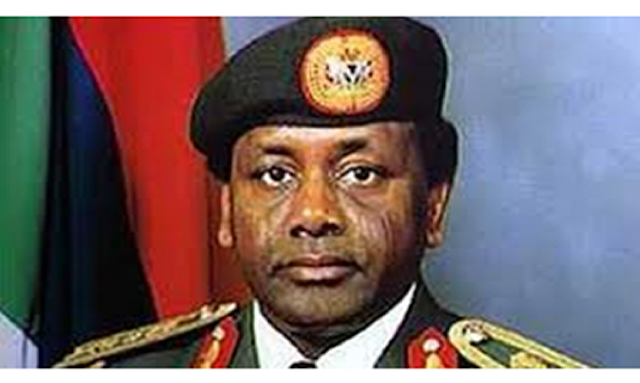 The Economic and Financial Crimes Commission are trying to find out what happened to the sum of $500million recovered from the family of late General Sani Abacha. The sum was recovered during the administration of ex-President Goodluck Jonathan from foreign banks and institutions. In their investigations, the EFCC came across several memos between top officials of the administration requesting for the funds to be spent on various. According to the EFCC, $250Million of the total sum was released to the office of National Security Adviser (ONSA) which at the time was headed by Col. Sambo Dasuki with appropriation or budget while the remaining balance ($250million) can not yet be traced. The EFCC reported that $250million was withdrawn between March 2, 2015 and April 21, 2015, while another $36,155,000 was withdrawn in cash on March 2nd, 9th, 16th and 18th of 2015, without any accountable use. The trail started when ONSA, in a written note to the then Cordinating Minister for Economy and Minister of Finance, Dr. Ngozi Okonjo - Iweala asked her to transfer the sum of $300million. Bank; Address: 28, Finsbury Circus, London. Please accept the assurances of my highest esteem." On receiving the memo, Mrs Okonjo - Iweala wrote to ex-President Goodluck Jonathan requesting for the said money. The memo, sent on January 20, said: "Attached, please find a request by the NSA for the transfer of $300million and British pound (5.5m) of the recovered Abacha funds to ONSA operations account. The NSA has explained that this is to enable purchase of ammunition, security and other security agencies in order to enable them confront the ongoing Boko Haram threat." decisions was made that recovered Abacha funds would be split 50-50 between urgent security needs to confront Boko Haram and development needs (including a portion for the Future Generations window of Sovereign Wealth Fund)." "This letter is to seek your approval to borrow these funds, for now, to disburse to the NSA. These funds form part of projected FG independent Revenue to be appropriated." And then on January 29, 2015, Jonathan replied the memo: "CME/HMF, approved." But it is believed only $250million of the $300million requested was paid to ONSA. The anti-graft agency are currently trying to find out whether the money was actually used to buy arms to fight Boko Haram, and also the whereabouts of the remaining $250million.